When the older kids were little we backpacked through Europe, to save costs we would travel through nights and sleep on seats on the trains. The tickets were cheaper and I would stay awake as they slept. Sometimes the most wonderful train guards on the railway would move us to a private first class compartment so we had it made really. Sometimes there would be an interchange at Koblenz station, where we would spend early hours in the station Macdonalds. If you ask the older kids about Koblenz, and they can tell you some funny stories! Although I am not as brave with Tilly, I do often spend the night at the airport before an early flight. 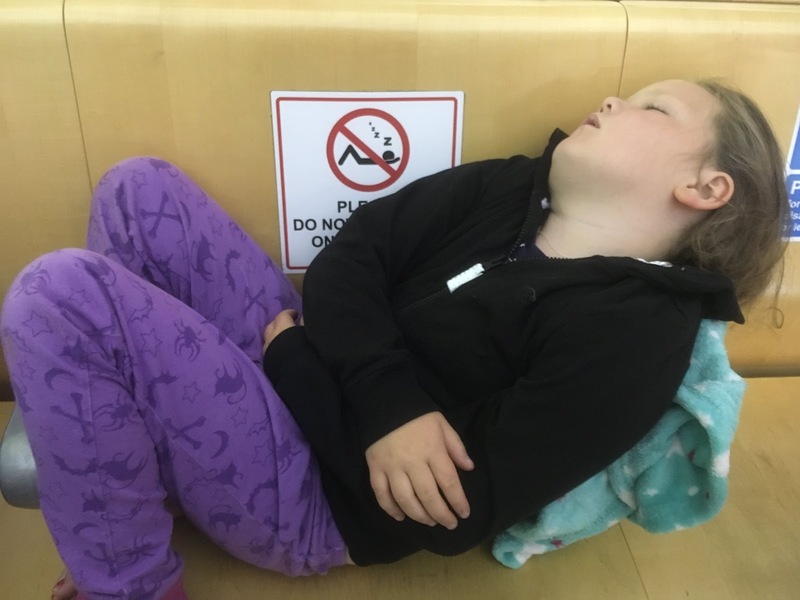 I don't sleep of course (have you ever tried to sleep on an airport bench?) but Tilly gets a few hours in. So here are our top tips on a quick overnight trip to another country. Book the earliest flight possible to maximise the time you have at the destination. Travel on the last train to the airport and just spend a few hours waiting for the airport to come alive again. It's a great place to hear travel stories and know where to plan your next trip. You will find cafes open all night to help keep you awake and everyone is so friendly because they are in the same boat as you. Travel lightly, take a back pack and just pop in clean knickers and a clean t-shirt. Take snacks in your bag. They are good for snacking on at night if you get a bit hungry and you can buy stuff cheaper in the supermarket before you travel than at the airport. I paid £1.20 for a snickers last year at Gatwick! Don't worry about taking shampoo's and conditioners etc. You're only going for a night so you will only need a tiny shower gel, a small packet of wipes (to freshen up at the airport), deodorant and toothpaste. Take things to keep warm at the airport, chick a blanket in your bag or make sure you have a big cardigan to wear that could double as a blanket. I dress Tilly in a thick onesy, especially if it's winter - the airport can get cold. Book a lounge. They might seem expensive but for the price of a LOUNGE, you actually get food and drinks that would cost a lot more from a hotel restaurant. 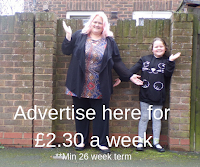 Look on groupon or wowcher for special offers. Check out your destination before you go, the last thing you want to do is have to find things to do as soon as you get to your destination. You need to make the most of your few hours in the place you're visiting. Know bus numbers and train stops. 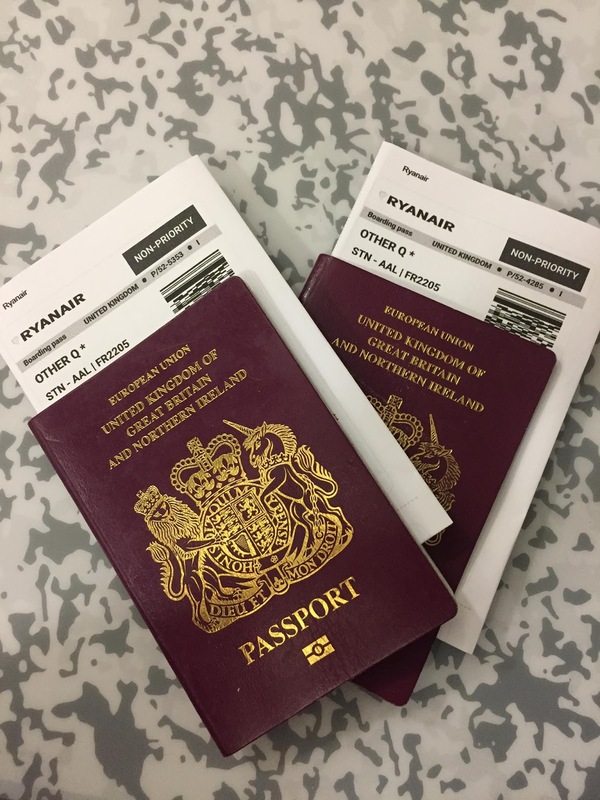 Always print off boarding passes, I know that you can use an app in your phone to store boarding passes but if your phone dies, you lose it or you break it - then you cannot travel so always have the paper back up. Check your airline hand luggage policy before you travel because they change all the time and you may find you have to dump some of your stuff at the airport. Before you book a flight, always check you can actually get from the airport to the place that you want to go to. Can you imagine landing and not being able to get to your hotel and have to fork out for a cab. 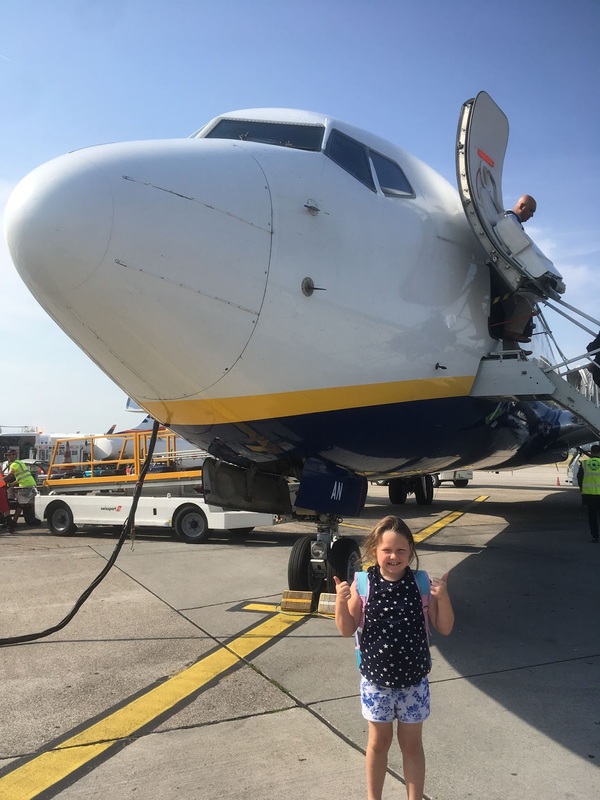 Shop around for flights, although I travel budget airlines a lot and usually end up going Ryan Air but I use flight comparison websites because sometimes budget airlines are not the right answer. Try skyscanner for fab price comparisons.